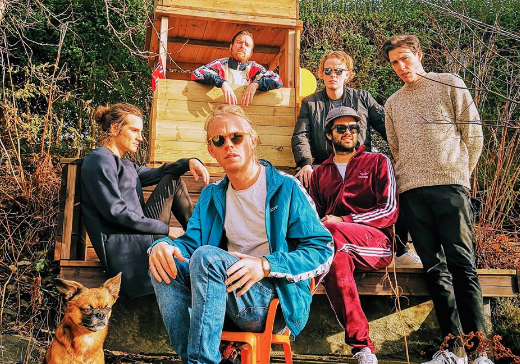 Norwegian indie-rock band Kakkmaddafakka has retreated back to their intimate roots with their latest tune 'Naked Blue', which is set to feature on their fifth studio LP. The album is due for release on March 22nd via Bergen Mafia Records. According to the band, their upcoming album will be their most-personal to-date. 'Naked Blue' was inspired by life in Bergen, Norway. In a statement, the band mention the influence Bergen had on the track, "The weather in Bergen this spring and summer made us uber-creative. I was laying on the balcony boiling and dreaming in the sun. Out of nowhere, I felt the urge to go inside and play guitar. Five minutes later I had the song. It just felt natural to go with as the first single'. The carefree energy of 'Naked Blue' captures the freedom of summer and the adventures that happen during the warmer months. As the weather heats up here in Australia, we can promise you that this one will be on endless repeat. Let Kakkmaddafakka take you on a journey with their new single 'Naked Blue'. You can see Kakkmaddafakka on tour in Europe early in 2019. More information is available here.